To introduce today’s artist, I’m going to take a description directly from her web site because it is just so perfect! Ela Mella is pun-loving painter and creator based in Los Angeles on a mission to spread love through art and unity through laughter. In this episode Ela opens up and shares where that positivity came from and how living through the lowest low can really change a girl’s perspective. We also talk about how LA, the city and the lifestyle, creeped into her east coast brain to create the art she’s known for today. And now, only a year after beginning to paint this particular subject matter we’ll be discussing, she’s achieved her goal of having a collection, a style that’s all her own, which is so identifiable. She gives us the inside scoop on exactly how she creates her pieces, which are a fine art and digital hybrid. And listen up if you’re an illustrator who makes prints…Ela’s prints are absolutely gorgeous and so high quality and the color is so consistent, and she tells us how and where her prints are made! 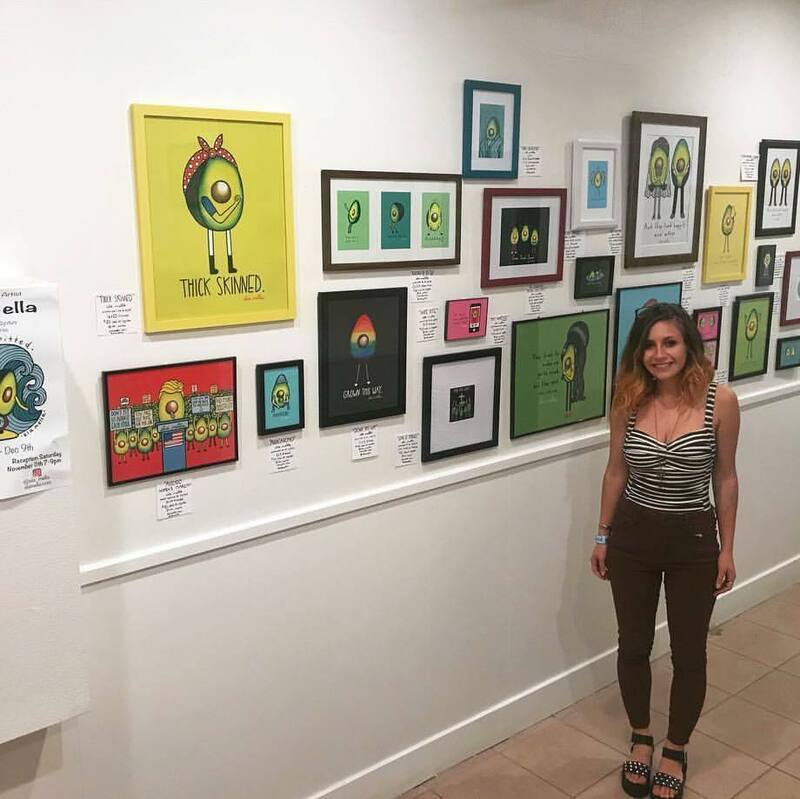 Ela sells her prints through her web store, and at pop ups…and explains how she got into these practices…and why spaces like Society 6 and Etsy weren’t really for her. Plus there are tips on pricing your work, and pitfalls to avoid when you’re starting out. There is just so much valuable information and good conversation crammed into this one episode…we better get to it!